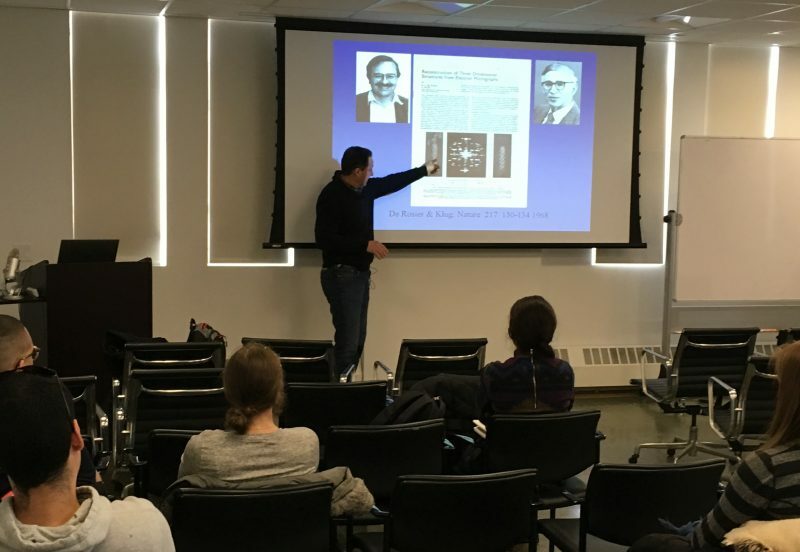 On April 2nd, Hernando Sosa continued our EM crystallography section of the course by discussing helical reconstruction and the many applications still routinely used in both cytoskeletal and membrane protein fields. Hernando is a professor at AECOM. As part of his research he uses cryo-electron microscopy to investigate structural basis of the mechanism of action of molecular motors.